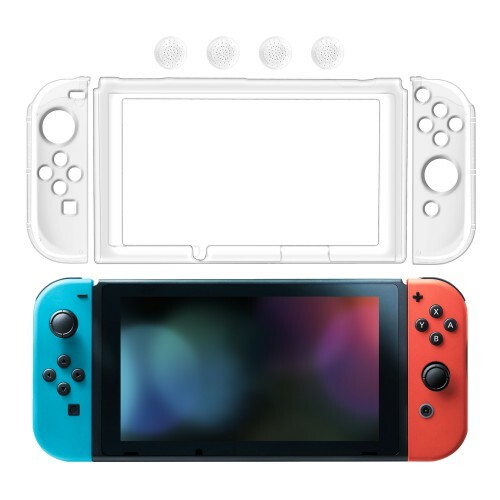 Keten Nintendo Switch Clear Case Full Coverage Crystal Hard Back Case Anti-Scratch Ultra-Thin Protective Cover for Nintendo Switch (Clear) . 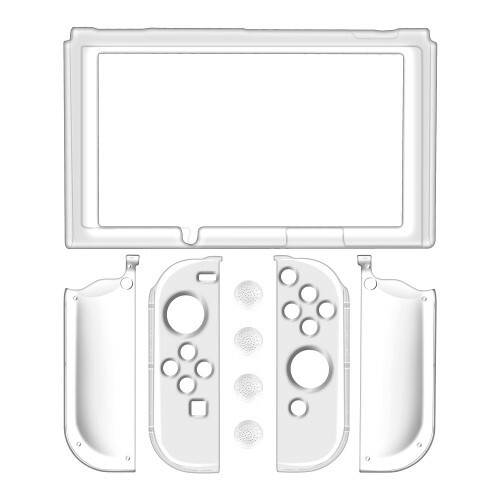 Full Coverage Joy-Con Guards: Covers both of the front & back of Joy-Cons, precision cutouts for easy access to all ports and buttons. 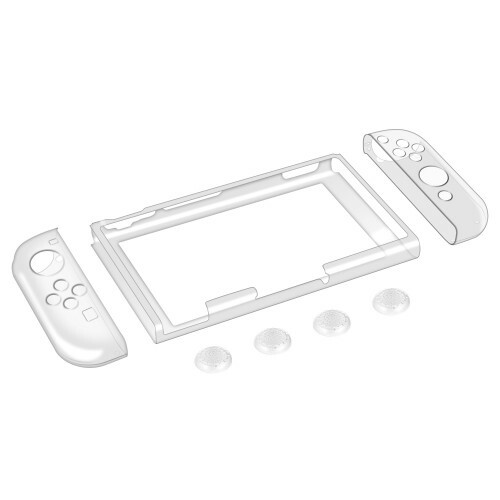 Ultra clear - Transparent and simple design enhances its most natural beauty. 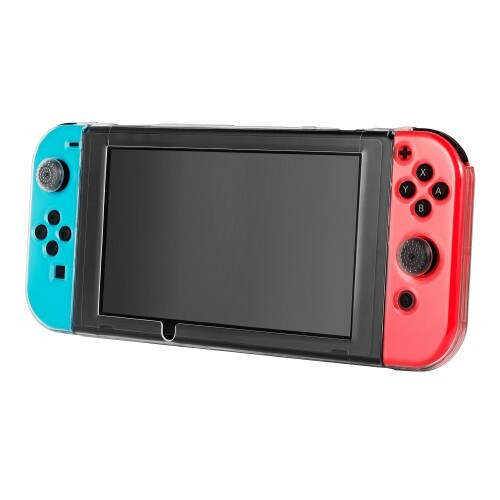 Ultrathin: A thin case that won't add unnecessary size or weight. 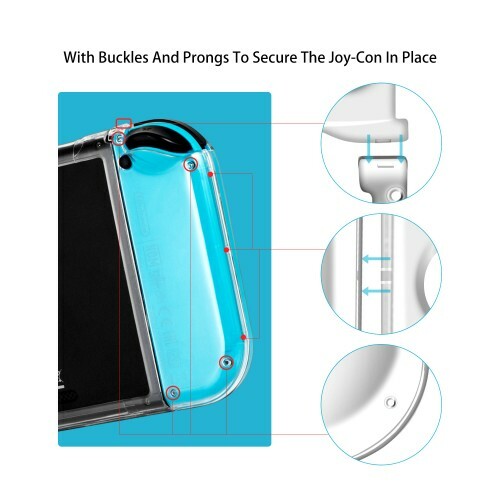 Smooth surface makes you feel comfortable. 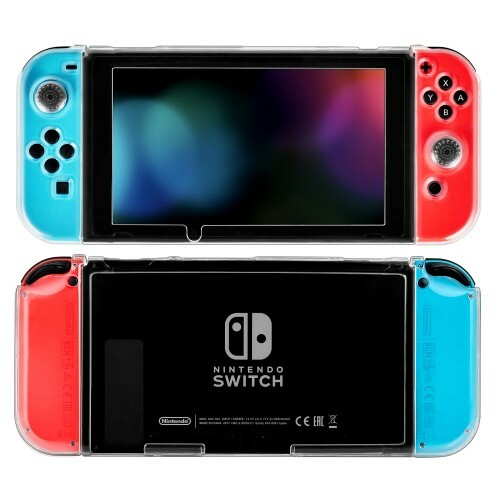 - Hard shell cover for Nintendo Switch with an opening for the screen. DO NOT come with a screen protector. 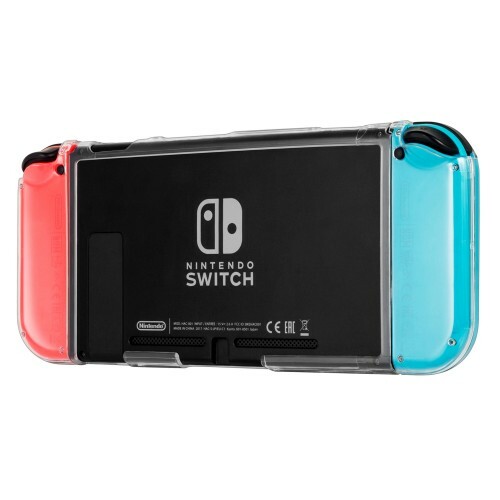 - Effectively protect your Switch and Joy-cons from everyday bumps, scratches, dust and fingerprints.